Father Markos Hanna was born on July 8, 1953 in Cairo, Egypt. He immigrated with his parents on November, 25 1970. He came to California June 1971 at the age of 17. He earned a Bachelor of Science in Metallurgical Chemistry from the University of Southern California in 1975. He worked as a chemist for 12 years and supervised the chemistry department for 11 yearsin MTI, an independent laboratory for NASA, Rocketdyne, etc. 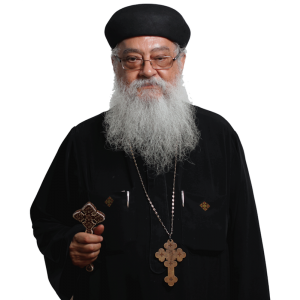 In addition, he served as a deacon and youth leader at St. Mark Church in Los Angeles from 1971-1985 as well as St. Athanasius Church in Northridge from 1987-1988 at the request of Pope Shenouda III to build and strengthen the deacons. He also has a successful Pre-Marital Counseling (one-on-one) which is considered to be the first of its kind in the immigration land, and was put together in 1990.